When you hear the word “risotto,” the most common first assumption, of course, is that it’s Italian. Especially to those who haven’t heard the word before, the way it sounds clearly makes it a foreign term. And then when you google it, you’re given pictures of a variety of dishes that pretty much look like posh porridge. However, when you get to taste that first spoon into your mouth, you find yourself experiencing a totally sublime epicurean moment. And you will never look at rice dishes the same way ever again. So what really is risotto? First off, let us clearly define what it is, shall we? Risotto comes from the Italian word “riso,” which means “rice” in English. And of course, most people know rice grains, especially those living in Asia or have Asian roots. 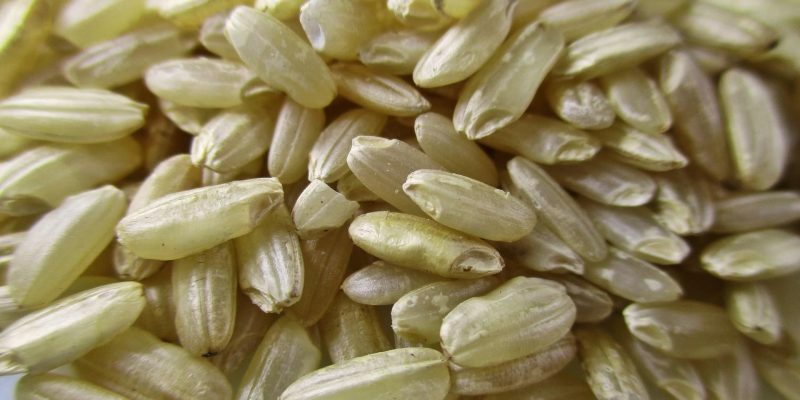 Rice, after all, have been one of the most common staple foods in that part of the word for centuries. Unlike steamed rice, however, risotto is a different “enchilada” altogether, so to speak. To be specific, risotto is an Italian dish made with rice that is cooked in a broth and mixed with all kinds of meat, vegetables, and spices. All the ingredients are simmered until you get a creamy savory consistency. But what makes it creamy, exactly? To answer this, you have to know that rice has a high starch content. And that starch is what makes risotto dishes deliciously creamy. This is also why when cooking risotto, you should take note not to rinse the rice before cooking it. Aside from all those that have been mentioned, this dish has some basic ingredients that should always be present. These are butter, olive oil, wine, and onions. Although risotto is a traditional dish that’s served throughout the Italian peninsula, it is more popular in northern Italy than in the south. Also, risotto dishes are most often prepared as the primo, or the first course. In some instances though, it can also be served as an accompaniment to a meat dish, such as in Ossobuco alla Milanese or Risotto alla milanese con ossobuchi. The most common types mentioned in recipes are Arborio and Carnaroli. The latter though can be quite pricey since it is difficult to cultivate and harvest. Other expensive rice varieties are Maratelli and Vialone Nano. Now, you can’t talk about risotto without first mentioning its main ingredient, which is rice, of course. According to historians, rice has been cultivated in Italy since the Middle Ages, around the 1400s. Some even say it was around the 10th century. Whichever era it really was, most historians do have a consensus. They believe Arabs were the ones who brought the grain to Europe, particularly to Italy and Spain. Surprisingly, the Italian grain was first introduced in the south, and only arrived in the northern areas much later. 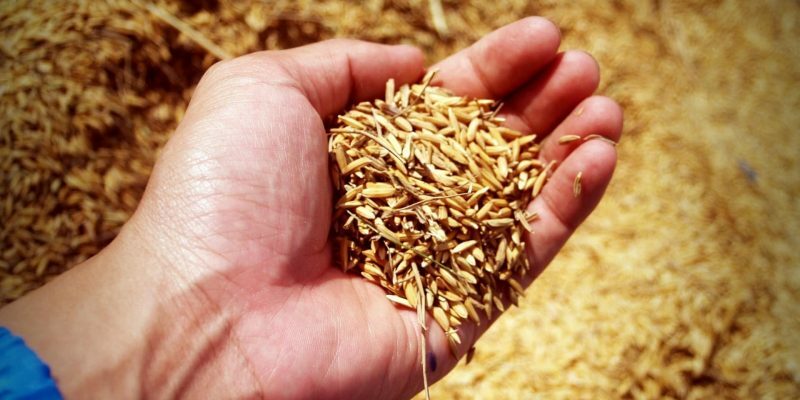 Since the grain’s introduction to the country, rice farming has been a major part of life for many Italian families. This is particularly true in the north. As a matter of fact, in the early 1900s, droves of workers migrate to the Po Valley region during rice planting season. The mondines line up in rows and chant songs as they work, since they were not really allowed to talk. For the employers, talking was considered a distraction, and distractions meant a slower pace. As for payment, the arrangement was that in exchange for twelve hours of work, the mondines would get a sack of riso. A peek of this recurring tradition can be seen in Riso Amaro, one of the most critically acclaimed Italian films in the 1940s. 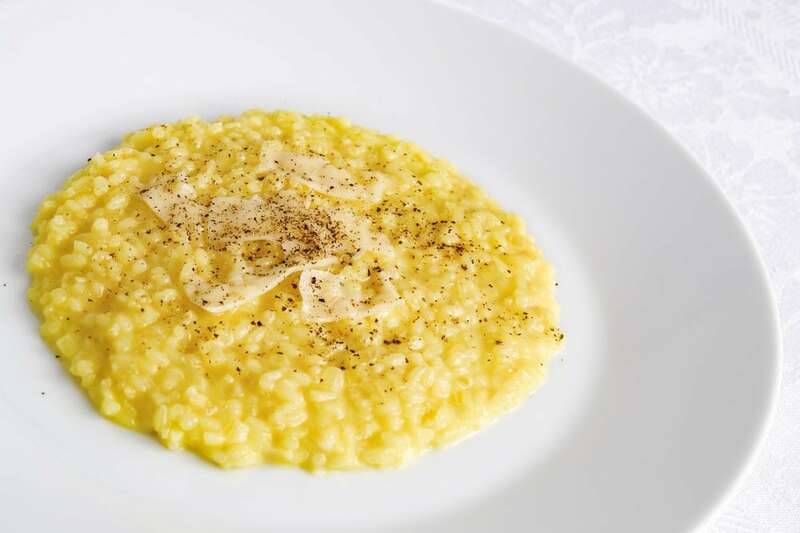 As for the dish itself, the earliest mention of risotto was actually from around the early 1800s. In one origin story, however, among the first risotto recipes is said to have come from a glassblower apprentice in Milan, who originally came from Belgium. Historians believe his name was Valerius and that he invented risotto in the year 1574. 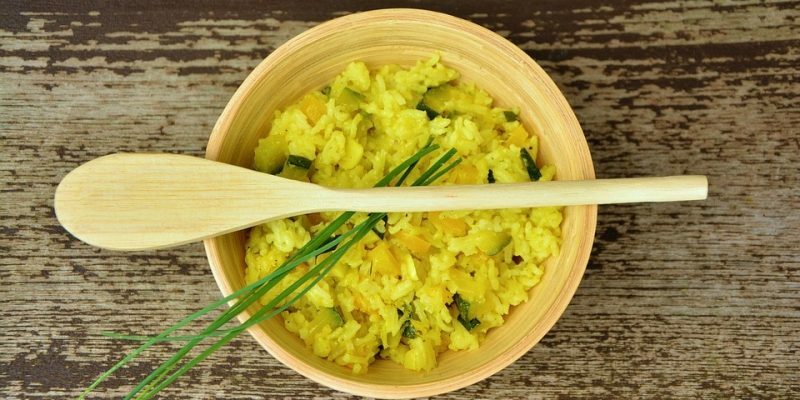 Allegedly, he added the saffron spice to a riso dish during a wedding feast, and thus, the risotto dish was born. The recipe may look complicated but with more practice, you’ll realize that it’s quite simple, after all. And before you know it, you’ll be whipping up a batch in no time, even with your eyes closed. Kidding aside though, always be alert and on your toes when working in a kitchen. Now, on to the delicious part. How do you make risotto? Here’s the basic recipe by which all risotto recipes must abide by… so to speak. In a saucepan, sauté onion, butter, and olive oil for a few minutes. Do this until the onions become soft and a bit golden. Add the rice and mix well. Make sure to coat all the rice grains with the butter and oil. So toast the rice with the mixture for a couple of minutes or so. This technique is called tostatura in Italian. Then, slowly add the wine into the mix. Let this simmer over medium low heat until the wine is absorbed by the rice. 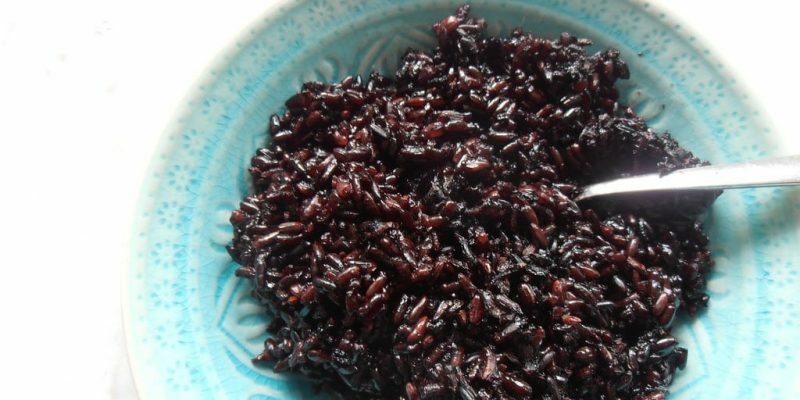 The wine will add a deliciously decadent flavor to your rice. This is what makes risotto dishes quite flavorful. Here, it gets a bit tricky. Once the wine is almost all gone, slowly add a small amount of the broth. Stir until the broth is absorbed by the rice. Once the liquid looks like most of it has been absorbed, add a bit more of the broth again. Do this several times, and in small amounts, until the rice is cooked and the surrounding mixture looks creamy. Remove from heat and add cubes of butter and some grated Parmesan cheese. Let that settle for a few minutes before stirring it. And if you prefer, you can also add salt and pepper, to taste. Serve on a warm flat plate and garnish with a few dashes more of Parmesan cheese. Note: Don’t bring it to heat again because the rice will continue to cook in its residual heat as you add and mix the cheese and butter. Also, if you plan to add herbs such as chopped parsley, mix this in last before you put your garnish. Perfectly prepared risotto should have a rich and creamy texture. However, you should still be able to distinguish the rice grains in the mix. When it looks like one great mushy ball, then it means the rice has been overcooked. Rice should be cooked like pasta. Each rice grain should be al dente and still retain its shape. Remember, it should be creamy, but not mushy and shapeless. Although many claim that you can use just any white wine for this dish, some culinary experts have their preferences. Many certainly recommend dry white wine such as Pinot Grigio. Some also suggest the fortified wine Vermouth. However, since vermouth has strong flavors because of the aromatic herbs added to it, this may clash with other flavorful ingredients in your risotto. So if you’re not simply experimenting, then it’s better to use white wine with a milder flavor, just to be on the safe side. Toasting the rice grains and making sure they’re coated with fat (from the butter and olive oil) is an important step in making risotto. This will set the base flavors to your risotto, and help prevent it from getting mushy. This is quite an essential technique in cooking risotto. If you put too much of the broth at once, it will take too long for the rice to absorb the broth. And you may also end up with a goopy mess. Also, don’t use chilled or cold broth. Ideally, have the broth in a low simmer beside or near where you’re cooking risotto. And add about half a cup of the broth at a time. Also, let the rice absorb most of the broth before you add more broth. Cooking risotto is a bit like baking. It is best you go “by the book,” especially in adding the ingredients. The basic recipe above pretty much covers this part. However, if you plan to add other ingredients, take note of how long they take to cook. For vegetables though, add them until the rice is almost done so they don’t get overcooked and mushy. If they take long to cook, you can also cook them separately and add them at the end. Some people today are wary of eating food with gluten, which is a protein found in barley, rye, and wheat. People with Celiac disease, for instance, can’t eat food with gluten. Because if they do, their bodies are triggered to launch an autoimmune response. It attacks the lining or surface of small intestines, the part which enables their bodies to absorb nutrients from food. This is why they have to strictly follow a gluten-free diet. For others, they simply prefer not eating gluten because it’s considered a healthier choice. 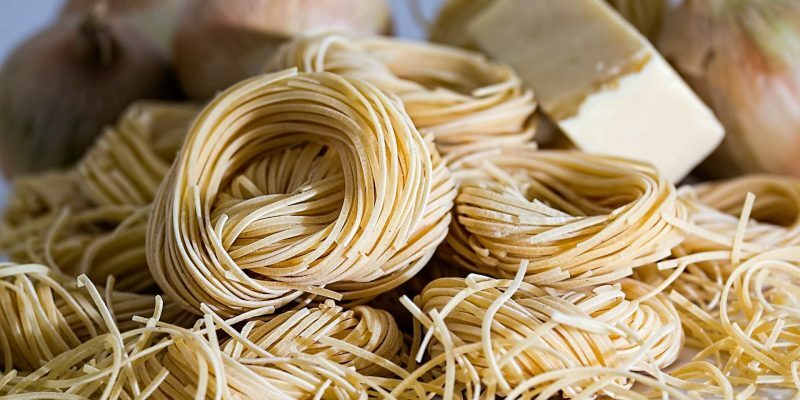 Unfortunately, gluten can be found in most foods today, especially pasta or noodles, and all kinds of breads and pastries. Fortunately for risotto lovers, rice grains doesn’t actually have gluten. However, this doesn’t necessarily mean a risotto dish is gluten-free. Why? Because of the other ingredients. Broth cubes, for instance, may contain gluten. If you make your own broth with fresh ingredients and no traces of flour or wheat, however, then you’re safe. Other risotto ingredients that may have gluten are meat or vegetables that are covered in flour. Since most flour are made from wheat, then it has gluten. If you’re the one cooking, you can make sure that all ingredients you use are gluten-free, and then you will have gluten-free risotto. But if you’re dining out, or at a friend’s house, you may have to make sure first that all ingredients the chef or cook has used have no gluten. 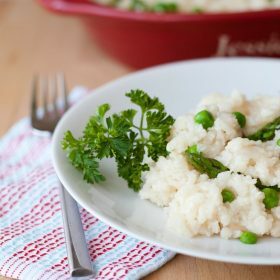 As with most Italian dishes, there are quite a lot of variations of risotto recipes out there today. In fact, there may be several traditional risotto recipes across different provinces and regions. There may even be special recipes handed down through generations in many Italian and Italian-American families. After all, having their own versions in different regions, provinces, and even families is a prominent characteristic of Italian cooking. More than that, it is actually quite easy to make your own embellishments when cooking risotto. Nonetheless, there are risotto recipes that are just so popular that they have become veritable classics and many people instantly recognize them. What are they? 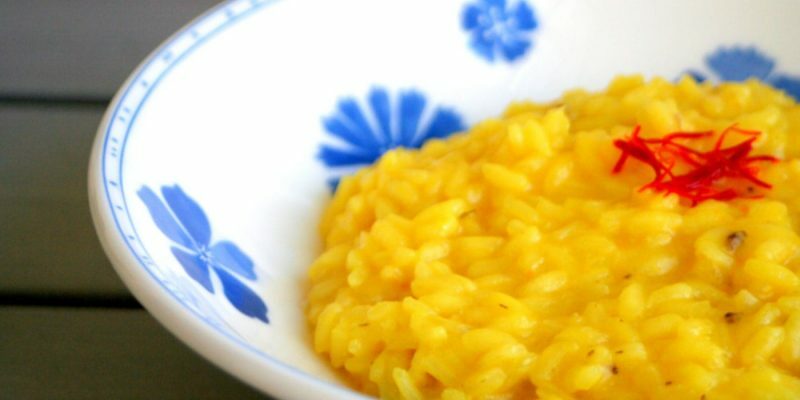 Certainly one of the most famous among risotto recipes, the main star of this dish is surprisingly not rice, but the spice saffron. It is so famous, in fact, that many who hear the word risotto automatically think of this particular dish. Not only that, it is also a famous pairing for one of Lombardy’s famous traditional meat dishes, the Ossobuco. 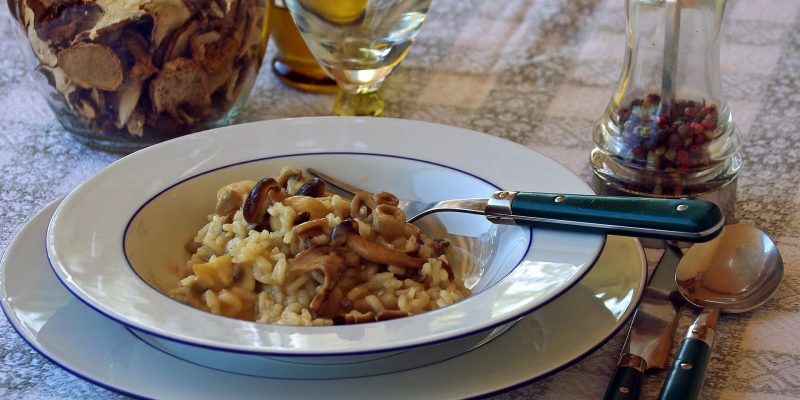 Basically just risotto with mushrooms, this dish has many variations in itself. This is because there are so many kinds of edible mushrooms you can use for it. The most popular mushrooms for this traditional dish are porcini and button mushrooms. A traditional dish in the Veneto region, this dish is made with cuttlefish meat, including its ink, which gives this dish its prominent black color. 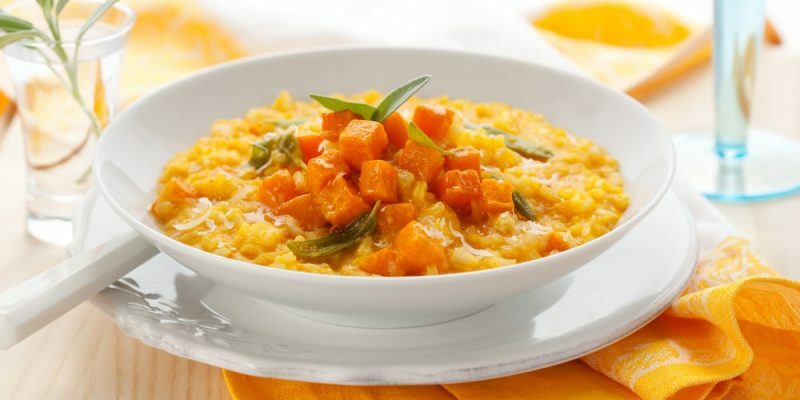 Quite perfect for vegetarians, the main ingredients for this risotto dish are pumpkin, cheese, and nutmeg. 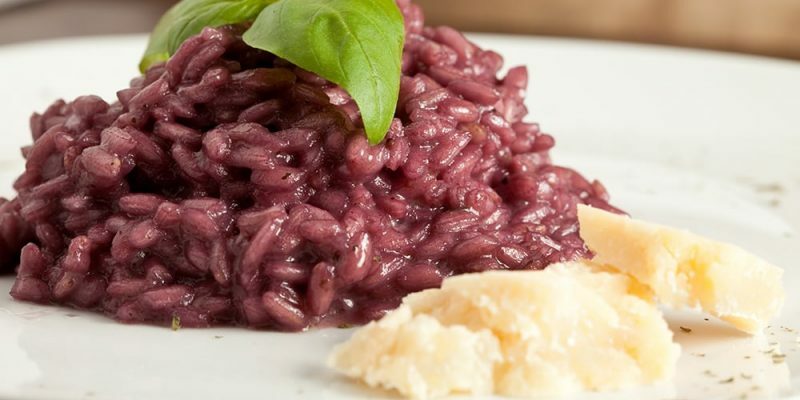 A traditional dish from the Piedmont region, this risotto recipe needs sausage meat, Borlotti beans, and instead of white, red wine called Barolo. Since I’ve been reading nonna box recipes for quite some time now, I never look at risotto like a porridge or ordinary rice since then because you can make a lot of recipes out of risotto and they are so mouth watering. I’m glad there’s nonna box that’s sharing different recipes. I love risotto.